Lucky, right?? I am super excited. On to the finishes for this week….The first of two Scrap-bee-licious October Blocks. This month we have been asked to do two paper-piecing blocks in low volume prints. I used the Wonky Triangles pattern (available on Craftsy.com) for the paper piecing part. This was a great pattern designed by Nancy @ Owens Olivia. I have to point out the wonky triangle fabric choices as I used some umbrella prints trimmings pack which have such fabulous prints and colors. Next block (not part of the scrap-bee-licious), is one of my this way, that way block at 15 inches in neutral Kona solids. I am in that kind of mood for low-volumes and neutrals. Now, I am ready to write up the pattern. I also finished up my last of my current orders for chair bags, some extra wide Flower garden themed ones. This is going to a little girl, for her birthday, and it will be filled with art and craft materials. How fun!! 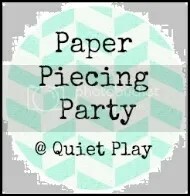 Linking up with Amanda Jean @ Crazy Mom Quilts and Kristy over @ Quiet Play for Paper Piecing Party. 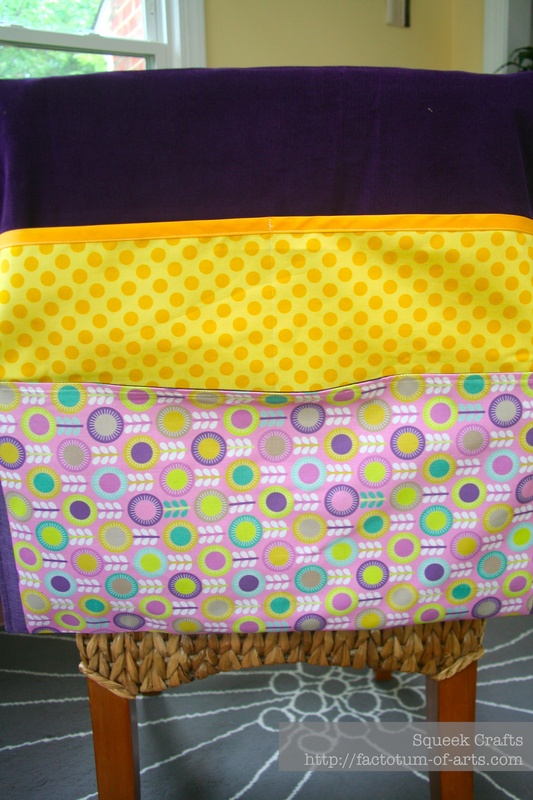 This entry was posted in Uncategorized and tagged Carolyn Friedlander Class, chair bag, chair bags, chair pockets, classes, courses, neutral solids, Nicole Neblett, Owens Olivia, patchwork, quilting, sewing, This way that way quilt, Wonky Triangles on October 11, 2013 by mlwilkie. The block looks very nice in neutrals as well! Sounds like an AWESOME few months. I would be jealous, but I dont have time… (ha!). Hope you feel better! thanks, Daniel told me about the craft fair too at work. I have to decide whether I can convince myself I can take it on….what about you planning on having a booth? This block looks so peaceful! I had to look twice to confirm it’s your same block design. Funny how different a block can look when you change out the fabrics. 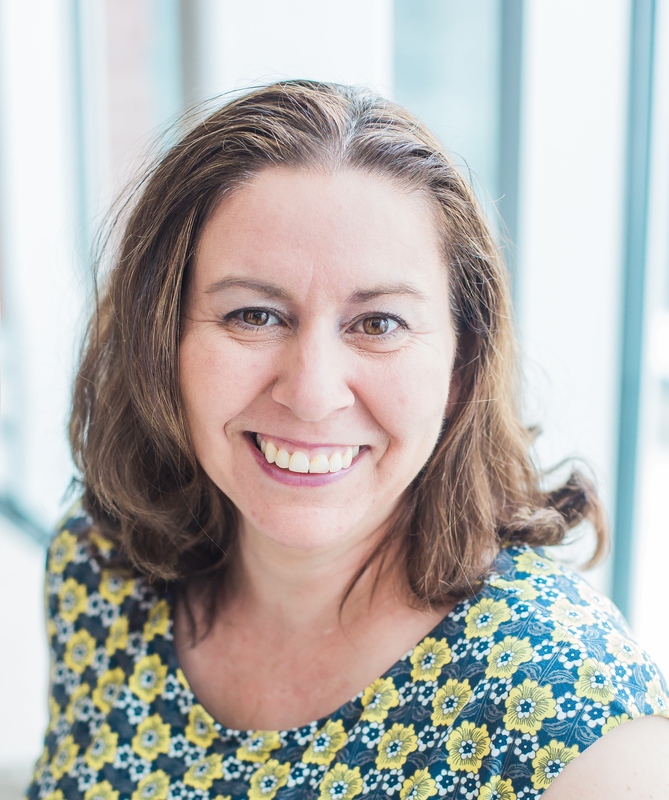 I think Cath has us all dreaming of washed-out vintagey low-volume stuff this month, eh? I actually just updated the post with my first scrap-bee-licious block completed too. The weather has gone blah and so color doesn’t seem to be in my fore-mind at the moment 🙂 I know I was surprised about how different it looks. It could be really cool in solid colors too I think. I love love love my block. It is fabulous and wonky and wonderful. 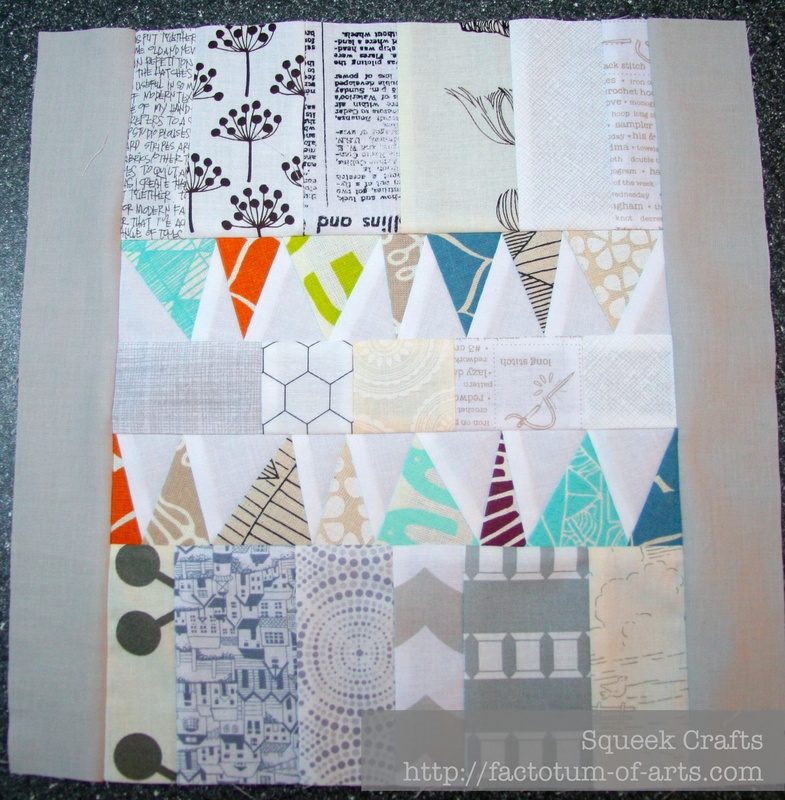 I am so excited to see how this quilt will come together. Thank you so much. I love it! Great colors too. I should be there tomorrow at Spoonflower. Will there be any sewing time? It will be my first meeting. Your pattern is going to turn out great! I usually bring with me a hand project to do while we talk etc. 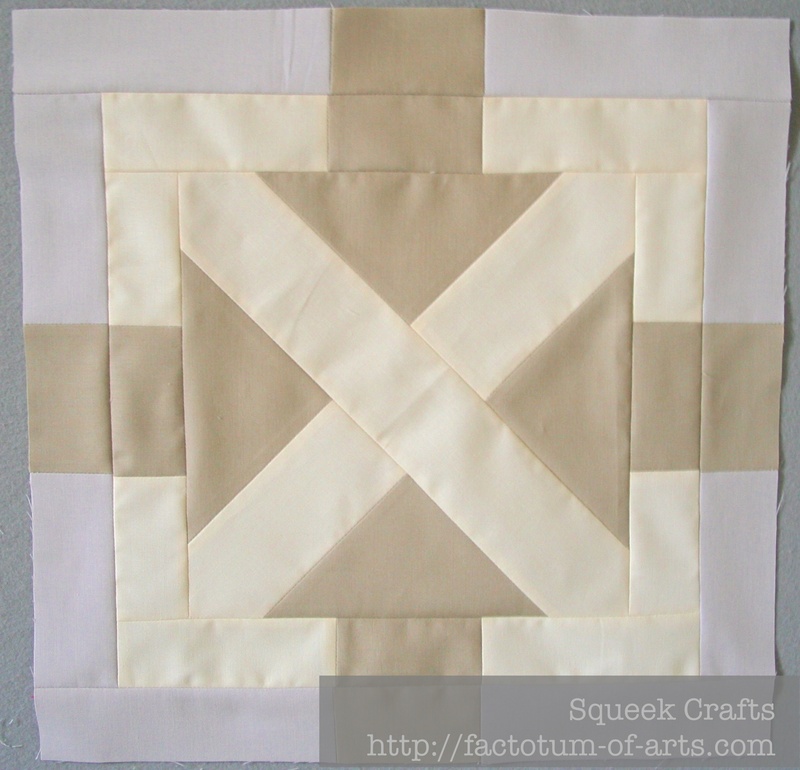 Both blocks are cute but I love the neutral and can’t wait to see how it will be in a whole quilt. Lovely blocks! 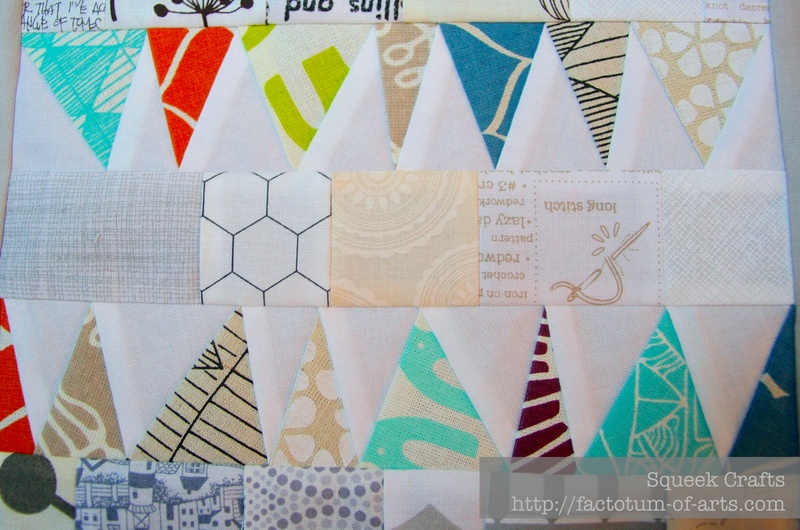 Your paper pieced triangles look great! 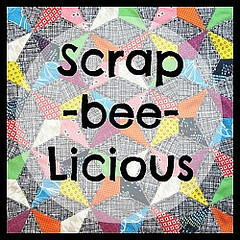 I love your choice for the scrappybeelicious block – just padded my scrap stash with quiet fabrics for this month’s block. Looking forward to seeing your 2nd block.